I don't understand this idea that kids hate bath time that pop culture keeps trying to insist to me. I loved bath time! However... It's with great affection for my younger self that I tell you I was kinda a weird kid. Most of my strongest memories from when I was a kid aren't big events or anything like that, they're rooted in the make believe I played and all the stories that I made up. I was constantly in a state of storytelling and imagination that I think shaped the person I am as an adult. When I was little, bathtime was as much about imagination as it was about getting myself clean - perhaps even moreso. Bubbles became hats or beards or something that spoke to being like an adult woman from the movies, sinking down into a lushly filled tub while contemplating things that at the time I couldn't even understand. I remember when I was first allowed to run my own baths, climbing into the water while it was still running and holding my feet up as straight as I could and trying to let the water cover my toes. Somehow a deep bath filled with bubbles felt like I was growing up - even if it smelled like fruity cotton candy. 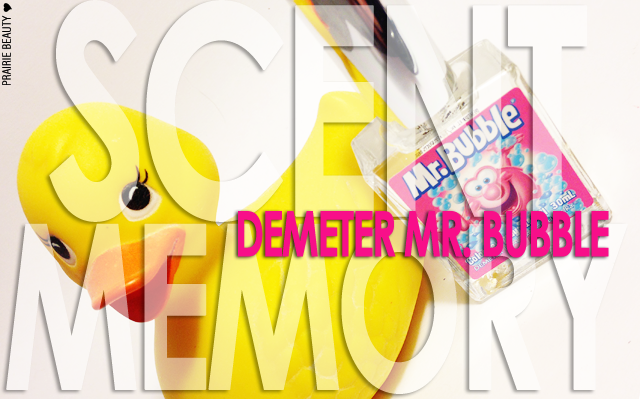 Recently, I had the opportunity to recapture the feeling of being that weird little bathtime adventurer with Demeter Fragrance Library's Mr. 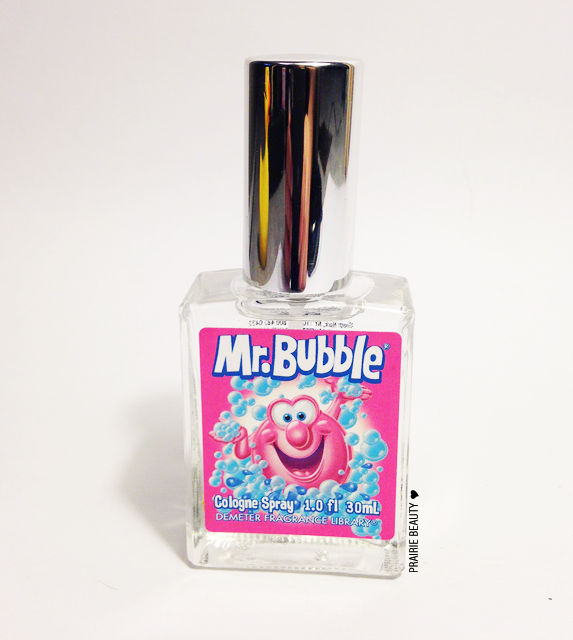 Bubble Cologne Spray*, and it brought me right back to that happy place. There is nothing like nostalgia. And the only thing better is something nostalgic and current. Nothing fits that description better than Mr. Bubble, which after more than 50 years, is still one of the top-selling bubble baths. Demeter's Mr. 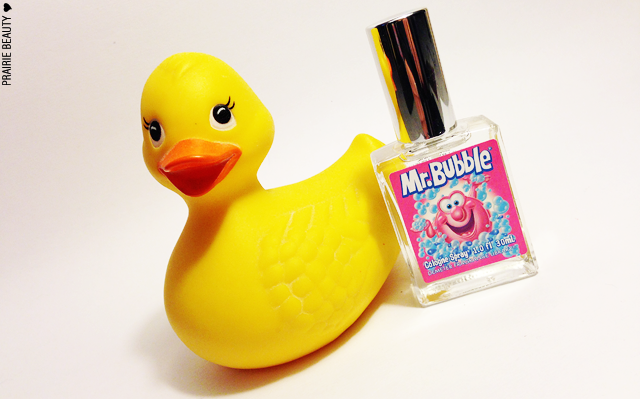 Bubble is certainly both: A sharp, fruity concoction, with notes of coconut, banana and peach, with a floral center of jasmine and rose, and a balsamic vanilla and powdery raspberry base. Before I sniffed this, I wasn't sure that I remembered the scent of Mr. Bubble even though I remember so clearly using it when I was growing up, but all it took was one quick spritz in the air and I was transported back. I'm not even exaggerating when I tell you that this is a scent that brings me instant happiness. They say that our scent memories are some of the strongest that we have and this was a big confirmation of that for me. I felt happy and light, wearing a huge smile as soon as I sprayed this the first time and that feeling has returned every time I've used it since. And trust me, it's been getting a lot of use on my sheets to put me in that happy place before I go to sleep. For me, there's nothing like the kind of nostalgia that holds all of those memories of innocent joy from when we were children, and this is exactly what this scent brings me - huge smiles and imaginary adventures included! Demeter's Mr. Bubble is available on their website for $20 for a 1oz bottle and $39.50 for a 4oz bottle. I really do recommend you check it out!